Home > Nicole Ulen, Au.D. 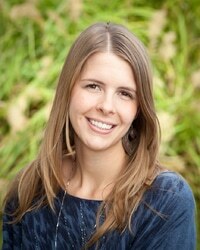 Nicole E. Ulen, Au.D., CNIM, is a licensed Audiologist in the state of California. She earned her bachelor’s degree at San Diego State University in Speech, Language and Hearing Sciences and her Doctor of Audiology degree from the University of California at San Diego and San Diego State University, through a joint doctoral program. Dr. Ulen moved to Palo Alto to complete her audiology fellowship training at California Ear Institute and to be closer to her family. She is a certified surgical neurophysiologist and has worked at various hospitals throughout the San Francisco Bay Area. Dr. Ulen joined the team at Camino ENT in San Jose in 2011. She provides comprehensive services for diagnostic audiology, hearing aids, auditory osseo-integrated implantable devices and cochlear implant services to patients of all ages. Dr. Ulen is a Fellow of the American Academy of Audiology and the American Society of Neurophysiological Monitoring. Outside of work, Dr. Ulen enjoys gardening, hiking and spending time with her family.